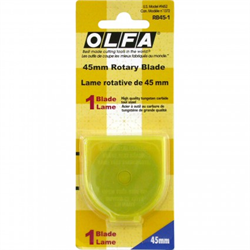 Circular rotary replacement blade for our popular 45mm rotary cutters used for quilting, sewing, and general crafts. Cuts up to 6 layers of fabric. 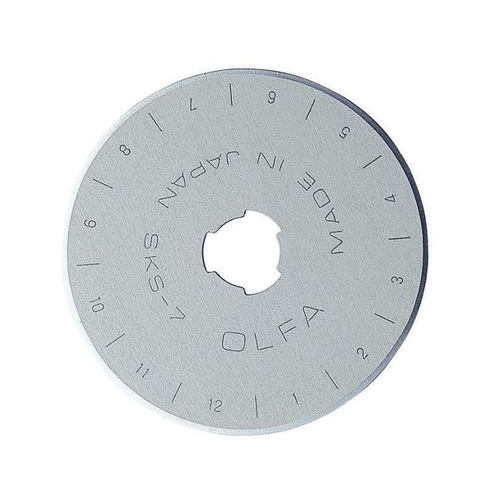 This blade is made of high quality tungsten carbide tool steel for unparalleled sharpness and superior edge retention. 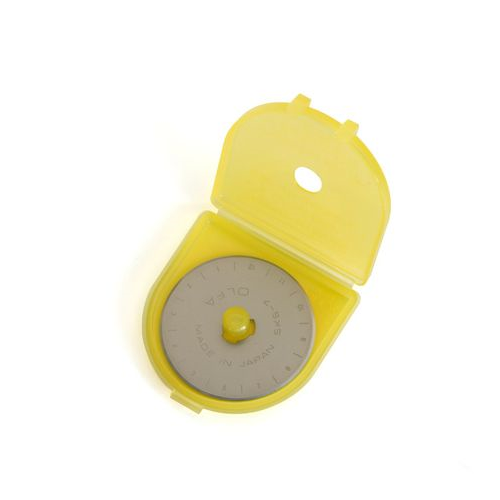 For Original 45mm Rotary Cutter (RTY-2/G) and Deluxe 45mm Rotary Cutter (RTY-2/DX). 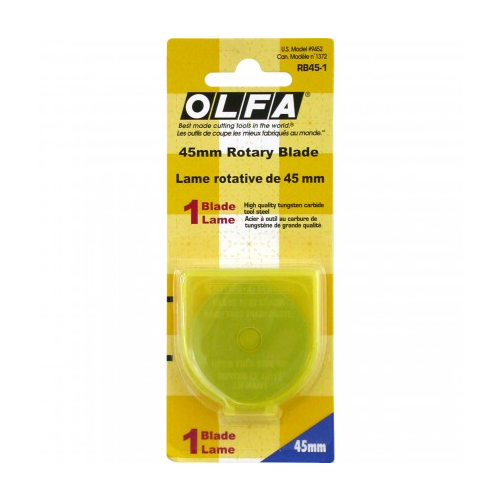 2 blade per pack.